The Australian-sponsored detention facility in Papua New Guinea is to be closed today. In a bid to prevent forced settlement in the country, the 600 remaining detainees have begun barricading themselves in the camp. The PNG Supreme Court deemed the camp unconstitutional last year and ordered its closure. While 50 asylum grantees have since been relocated to the US, Australia refuses to accept the rest, fearing that providing illegal migrants with a path to citizenship would encourage more to attempt the dangerous journey. 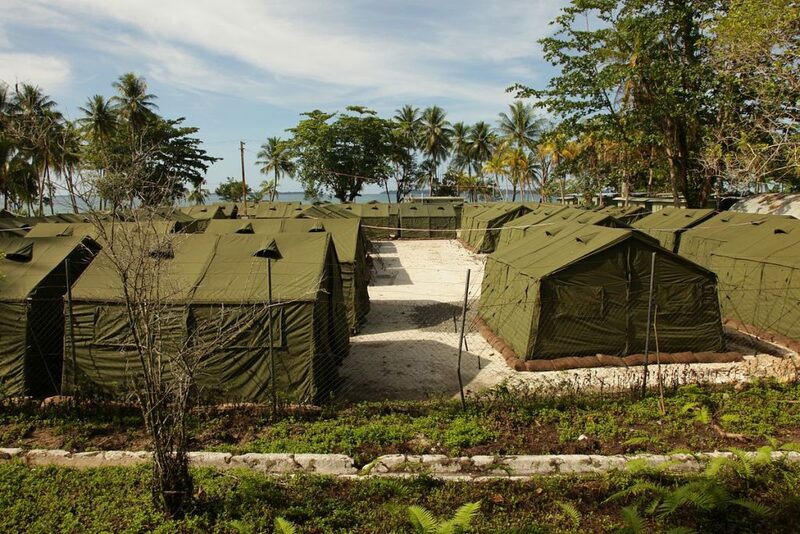 Instead, Canberra will fund new transit centres to integrate those granted asylum into PNG. Regardless, many refuse, citing their deep misgivings of a country where they’ve had a troubled history with local guards. Although the tough stance, which involves intercepting asylum seekers at sea and turning their boats back, has been successful in cutting people smuggling to Australia, it has been criticised by human rights activists at the UN.